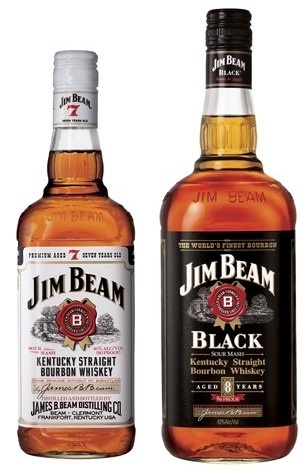 Jim Beam Black has a new bottle, but the Bourbon is the same. BourbonBlog.com spoke with spokesperson for Jim Beam Black today who confirmed that this new bottle contains the same Bourbon as the original Jim Beam Black. However, the updated design gives a new dimension of branding for Jim Beam Black differentiating it from Jim Beam white label. Jim Beam Black is aged for 8 years, twice the amount of time that the original Jim Beam white label is aged. Jim Beam Black received a 93 rating from the Beverage Testing Institute for Best North American Whiskies category. Jim Beam Black is bottled at 86 proof. Special thanks to Harold Bussell. I hate the new bottle without the handle. Too hard to pour. The old was one was great. Tragic mistake IMHO.